Four high school students in present-day New Orleans are torn apart by envy, passion, and tragedy. Meredith, Brandon, Greg, and Stephen quickly discover the fragile boundaries between friendship and betrayal as they enter high school and form new alliances. Then two violent deaths disrupt the core of what they once shared. Atherton University, freshman year. Kathryn, Randall, and Jesse come from different worlds, but find themselves drawn together in unexpected ways. For each of them, college promises a bright future and a way to disconnect from a dark, haunted past. But as winter sets in, their secret histories threaten to disrupt the layers of deceit that protect their fragile new lives. After Megan Reynolds loses her job as head of a San Francisco nonprofit, she returns to the support of her family in her affluent hometown of Cathedral Beach. Meanwhile, in Hong Kong, a fireball rips through the lobby of a luxury hotel, an apparent terrorist bombing. Security cameras capture the attack, and soon television news footage shows two men escaping, one Middle Eastern and one American. Megan and her mother recognize the American as Megan’s brother, Cameron, who may have become enmeshed with a mysterious family of wealthy Saudis. When Megan decides to investigate, she uncovers a trail of secrets and intrigue that snakes from the decadent beaches of southern Thailand to the glass skyscrapers of Hong Kong, and along the way she uncovers some shocking truths in her family’s past. 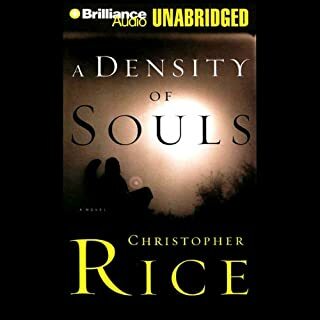 CHRISTOPHER RICE, the son of Ann Rice and the poet Stan Rice, published his first best-selling novel, A Density of Souls, when he was twenty-two years old. He now has four New York Times bestsellers to his name. He lives in West Hollywood, California. 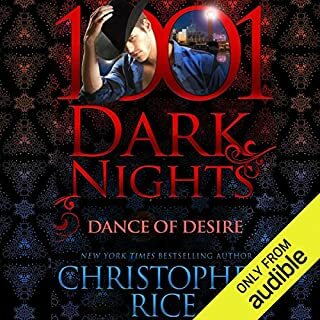 ©2010 Christopher Rice (P)2010 Blackstone Audio, Inc.
Over-analyzed characters and their actions. After reading "Density of Souls", I hoped this book would be just as good but I hated this one. No personality and ridiculously over-analyzed characters and their actions. Forced myself to keep listening with hope but I only made it to chapter 7. Cassandra Campbell reads this book with without any vocal changes. She sounds like shes reading at a funeral. I feel the credit used was a waste. 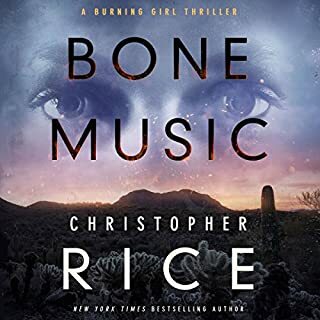 I have been a die hard Christopher Rice fan since his first book. I think some people find him and his work to be polarizing....Some think his writing is amazing, some think he is a hack-only published because of his mother's fame. 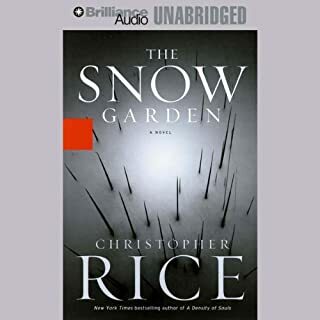 I think that Rice is a writer in his own right.I like that Christopher Rice writes about gay plots and not just the usual coming out story which floods the market. It's important to make the gay themes a part of the story but not the whole story. 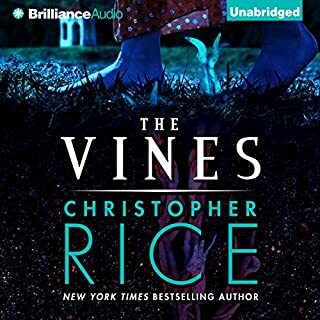 I typically can figure out an ending within fifty pages and Christopher Rice can create a twist that will make your head spin! This book was a bit different from his other books, as the main character was a female and there are world wide topics and breadth. My only issue with a Christopher Rice book is he always starts his stories slow and they are hard to get into. When reading his books it takes me a couple tires to focus and get into it. Listening to his work on Audible made it easy to get right into the thick of things without stopping and starting like usual. This book was a grab bag of plots! Slow, vague and whinnie! This plot is suppose to be complex, but in the end it just doesn't make sense. It ran an hour past the climax with people just talking and whinning, going over and over one of the plotlines. By that time I couldn't keep it straight, but I didn't care. And then in the end, two characters appear out of nowhere, one gets killed, the other doesn't seem to care. It is assumed a specific "bad guy" did the killing, though why is not clear, and then the friend announces he killed the "bad guy" 5 days ago. So who killed the poor guy on the park bench! To answer what could have made this a 4 or 5 star listening experience for me? A story line that wasn't so impressed with itself and so self indulgent. 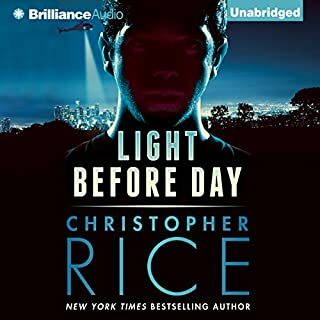 Would you ever listen to anything by Christopher Rice again? Never. I like to try new authors when Audible runs a sale and I bought this one a year ago. I've found some real treasures with these unknown pick-ups. This was definately not one of them! Had something better to read. 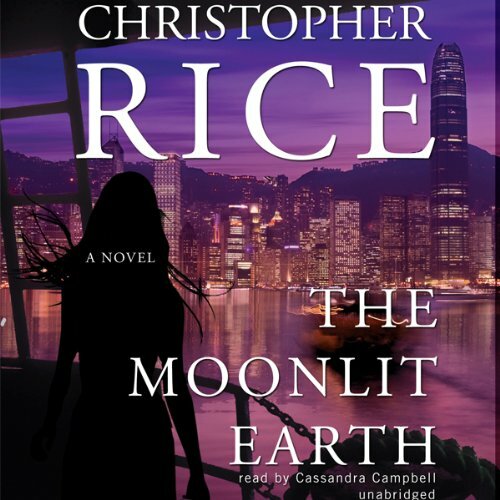 If you could play editor, what scene or scenes would you have cut from The Moonlit Earth?